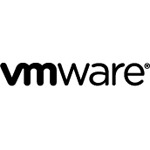 Click here to see if you qualify for VMware volume licensing! VMware Licenses must be purchased in conjunction with Support and Subscription (SNS) with the exception of Workstation and Fusion (the vSphere Essentials kit has option of per incident support and requirement of subscription for one year). VMware orders cannot be purchased on the Web, please contact your Account Representative for pricing. The service provides for assistance performing a single VMware AirWatch on-premises environment upgrade. Due to manufacturer restrictions, all sales on this item are final.